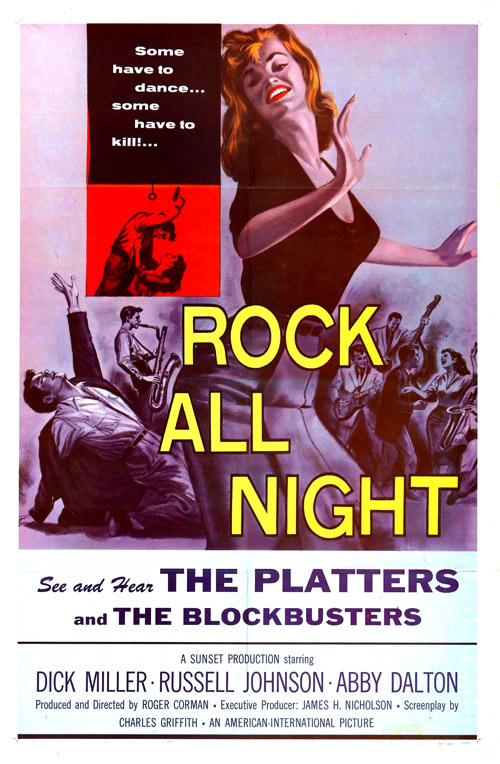 Rock All Night (1957, USA) is a Crime film directed by Roger Corman. This film's double feature poster (with Dragstrip Girl) inspired the 2007 drive-in/grindhouse homage GRINDHOUSE Directed by Quentin Tarantino & Robert Rodriguez. This page was last modified on 7 January 2019, at 18:59.